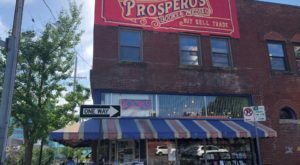 In the heart of the Ozarks, sits a little town with less than 1,000 residents. 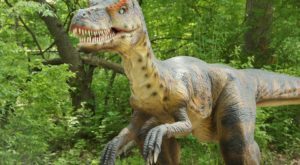 This sleepy little town comes alive in the fall as visitors flock from four different states come to visit an 8-acre corn maze. 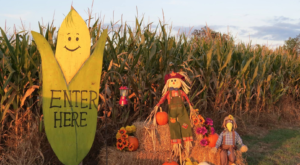 Although temperatures may still be high, you know fall has arrived when the Exeter Corn Maze opens for the season. 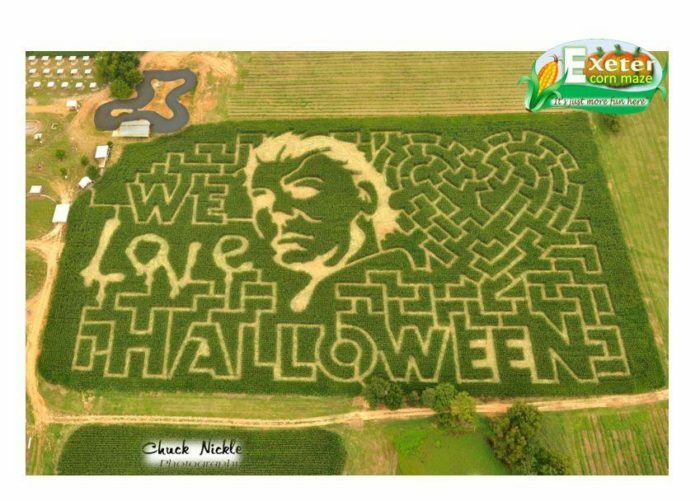 Come check out this massive corn maze with your family, currently open until Nov. 4th. 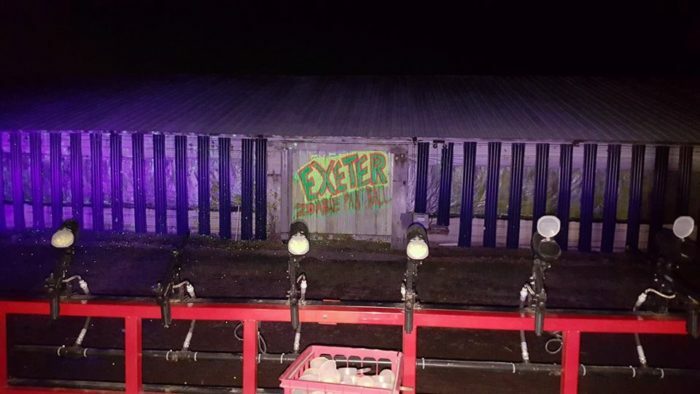 The Exeter Corn Maze opens every year at the beginning of September. Locals know that fall is right around the corner when the maze opens. 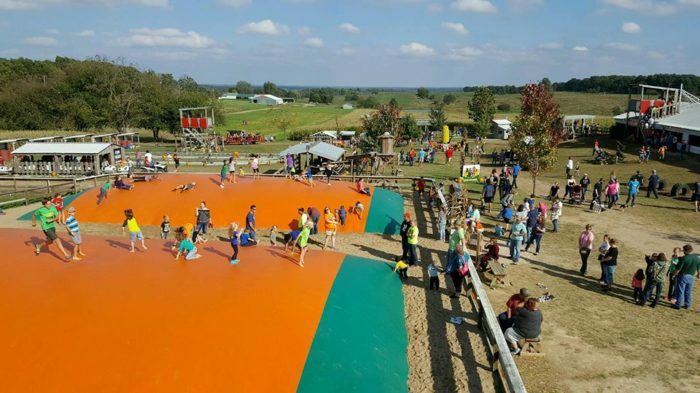 The huge corn maze brings visitors from Missouri, Arkansas, Oklahoma, and Kansas each year. 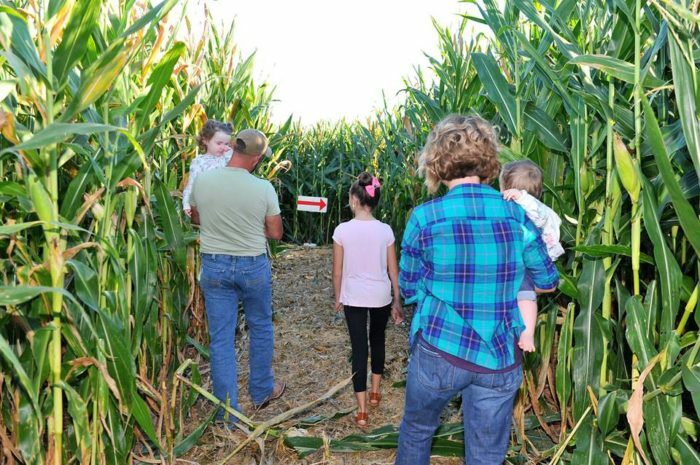 This fall farm is super family friendly, kids love navigating the corn, picking pumpkins, and playing in the barnyard. Explore the corn maze by day and follow the arrows when you lose your way. By nightfall, goblins and ghouls come out of the corn for a frightful experience well suited for teens and adults. 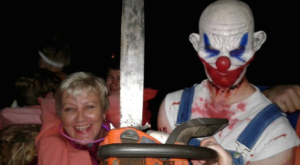 This year's maze was inspired by a very popular horror film franchise, Halloween. Enter if you dare, Michael Myers could be waiting for you in the corn. 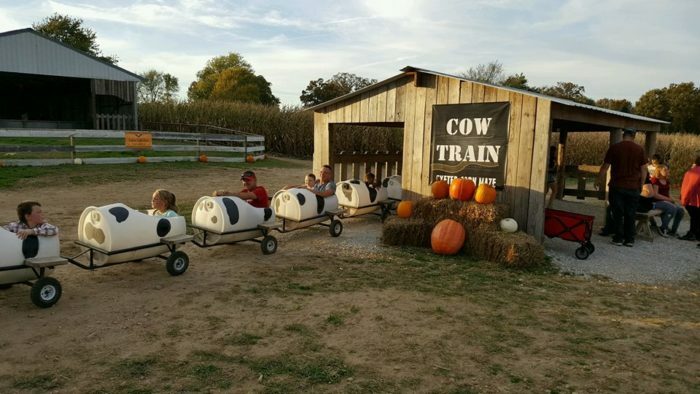 Little ones will enjoy the cow train. 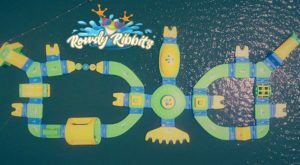 This adorable ride will entertain your kids, while taking them across the farm, and through the corn. Bounce around on the pumpkin jump. This bouncy bubble is fun for all ages, we won't blame you if you end up chasing your kids onto the pumpkin jump. 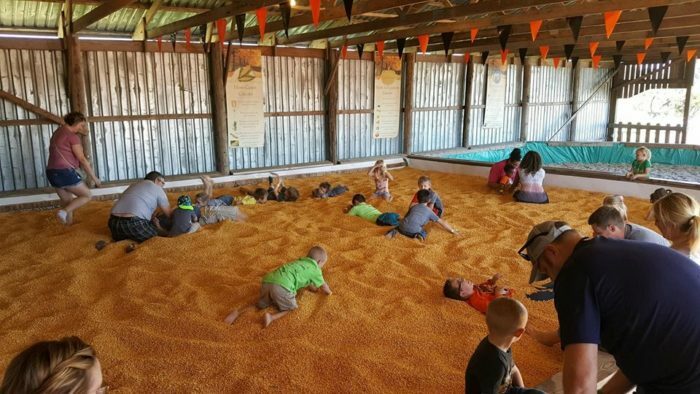 What is a corn maze without a corn pit. Roll around with your little ones in the corn, but beware of the kernels that may find their way home in pockets and shoes. 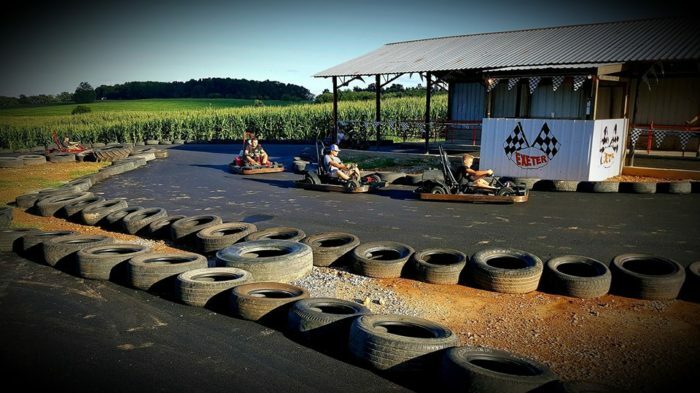 Check out the brand new attraction this year, these go karts are going to blow you away. Drivers must be 54 inches tall and passengers must be 36 inches to ride. Additional admission may be required. Another scary attraction is the zombie paintball hayride. Do your best to shoot down as many zombies as you can along the way. After slaying zombies in paintball, visit the haunted barn for a truly terrifying experience. Admission to the haunted activities,corn maze, and barnyard can be purchased for $20 per person. 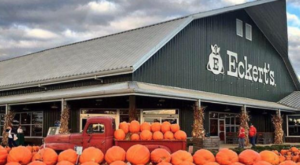 Exeter Corn Maze is open on Wednesday from 5 p.m. until 9 p.m. Friday and Saturday the barnyard and maze are open from noon until 10 p.m. You can visit Exeter on Sundays between noon and 7 p.m. as well. 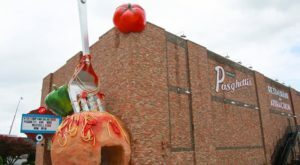 Haunted attractions open after nightfall. 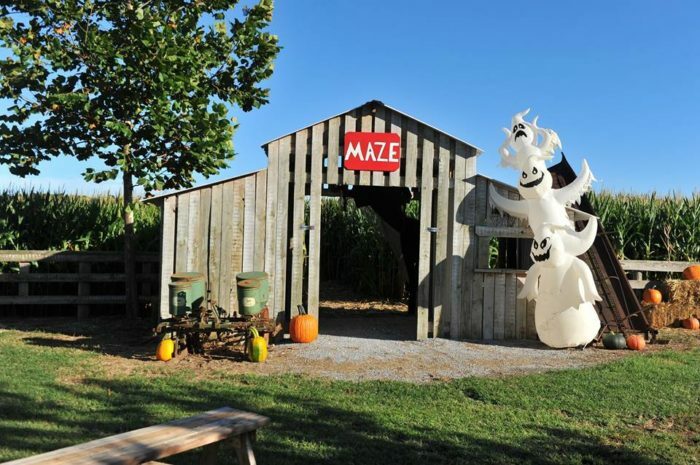 Admission to the corn maze and barnyard is $15 for those aged 15 and younger, and $12 for those aged 16 and older. 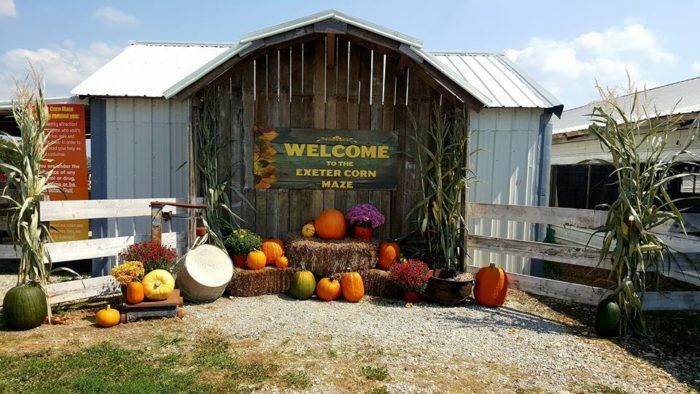 Visit the gigantic corn maze at State Highway MM, Exeter, MO 65647. For additional information about activities and admission, visit the Exeter Corn Maze website here. 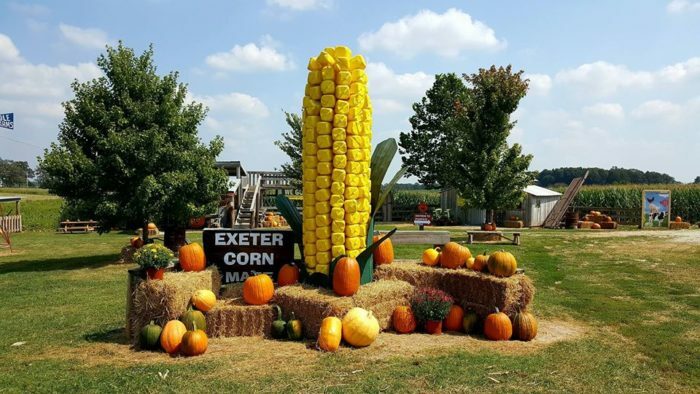 Have you been to the Exeter Corn Maze? Tell us about your day on the farm in the comments below. 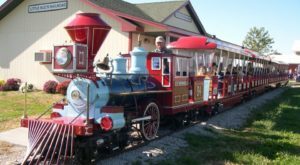 There are so many beautiful barns to visit in Missouri this fall, check out this historic farm for an Autumn weekend full of fun.